They called us the posse, well we called ourselves that anyway. Erin, Fatty 9 months pregnant, Sandra, and Tanis. 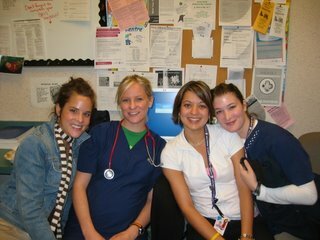 During the last year or so before I had Alli, there was a few of us that almost always worked together. It made work so much more fun. We got along so well (most of the time, haha) and I have some hilarious memories of night shifts and walks down whyte ave among MANY others. You get kinda crazy when you work a bunch of 12 hour night shifts in a row. Here we are at Erin's going away party this summer. But so sad to go back yesterday knowing 2 out of the group are long gone. Ever since Erin and Tanis started on the unit we bonded. 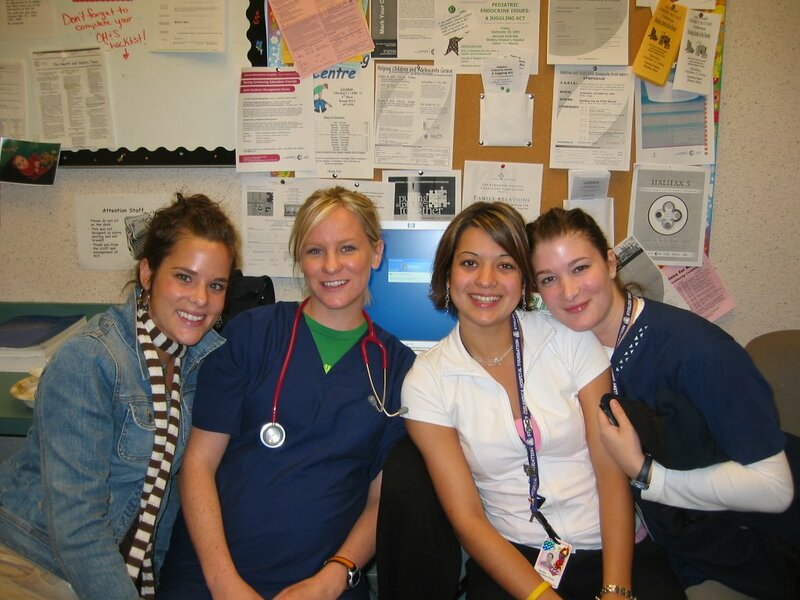 Probably because finally I wasn't one of the youngest nurses and we could be immature together. 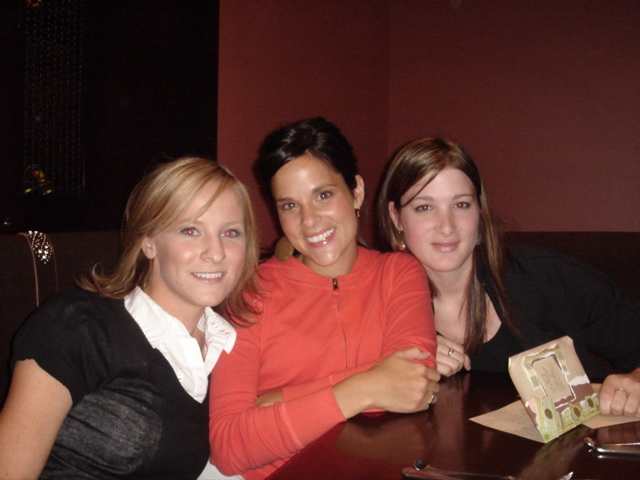 Erin moved to BC and Tanis to Lloyminister and I really miss them. I'll still be working with Sandra I hope, but it just won't be the same as when the posse was altogether. I know you all read this and I really do miss you guys. I know I still like being a nurse, but I like being a mom WAY more. I hope I still like work enough to do it a little bit.